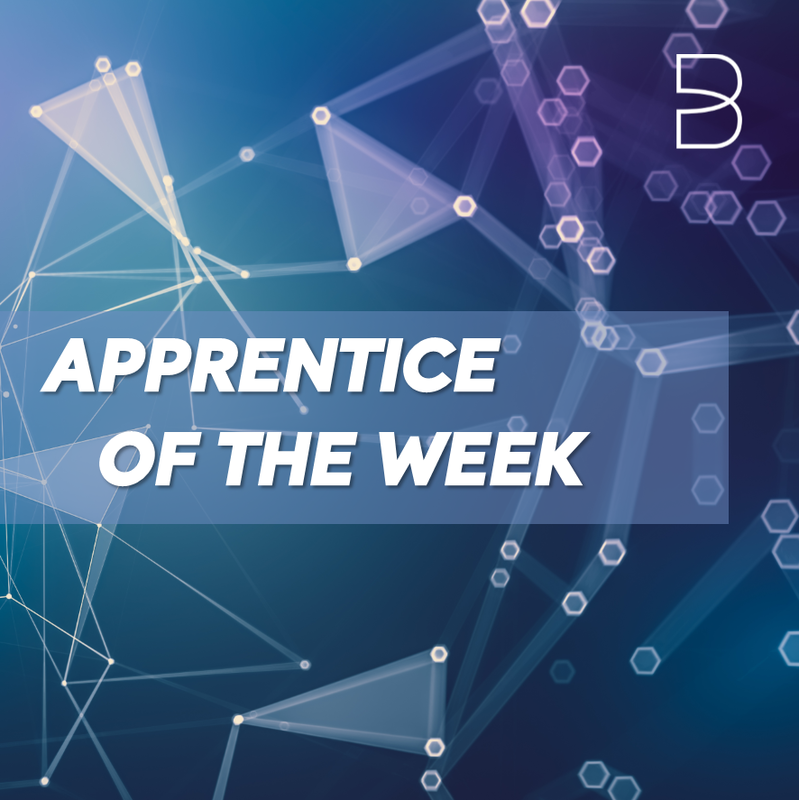 After each week of training, our Technical Trainers nominate one apprentice that has excelled over the course of the week. Each apprentice is entered into a random prize draw to win a Baltic Hoodie. Well done and congratulations Jake! We would like to say a massive thank you to all of our apprentices for the hard work and dedication they put in during every training week. Please see all Apprentice of the Week nominations below! Michael has had a great week. The work that he did in his workbook and in the additional tasks set was great, plus he managed a great 90% in the mock. Emily worked so hard all week, she joined in all activities, led discussions, asked questions and generally got really good scores. She also encouraged her peers which was lovely to see. Jake has used the microphone well this week. He has been proactive and at ease talking to me and advising others in the group when they needed assistance. He has quite often added value to the group with his questions that provoked a discussion. He seems genuinely interested in the technology, which he seems to have a good level of understanding of. As such Jake is my learner of the week. Produced excellent work and always keen for feedback. Very knowledgeable and helped with examples from his experiences in his role. Kyle was outstanding this week and was a standout performer, very punctual, dedicated and produced outstanding work. Kyle often entered the room 30 minutes early and was a great contributor to the chat which was great to see. Kyle has a very bright future ahead of him and is no doubt a huge credit to his company, knowledge was shown by Kyle on a regular basis and he was a pleasure to deliver to. Keep up the great work Kyle, I was impressed! This has been one of the hardest decisions to make for learner of the week due to the high calibre of the learners. However, Kyle stood out to me this week and is my learner of the week due to his punctuality, note taking and team effort each and every day, well done Kyle! It was a please to have Oliver on the course this week. He interacted well with the group asked relevant questions and was able to demonstrate his understanding of the course. On it from day one and did offer me extra delivery knowledge when it comes to WAP/Friewall creation on Cisco packet tracer. Always available for a comment and mic screen share when I need it - an excellent week. Helped others and gave insight when asked or just from hos own thoughts. Linked in his day to day wok with what he saw this week too. An asset to the class and my AOTW in what was a strong field with a few front runners. Hasan had a very good week, he was active throughout the week and produced some excellent work. He worked hard and this was evident in his ability throughout the week to answer questions correctly as well as score fantastically well in his mock exams. How do I improve my interpersonal skills? © 2018, Baltic Training Services, All Rights Reserved.